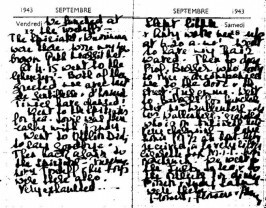 A major challenge for researchers in the Raoul Wallenberg case has always been how little original documentation about the young Swedish diplomat survives from his adult life before 1944. 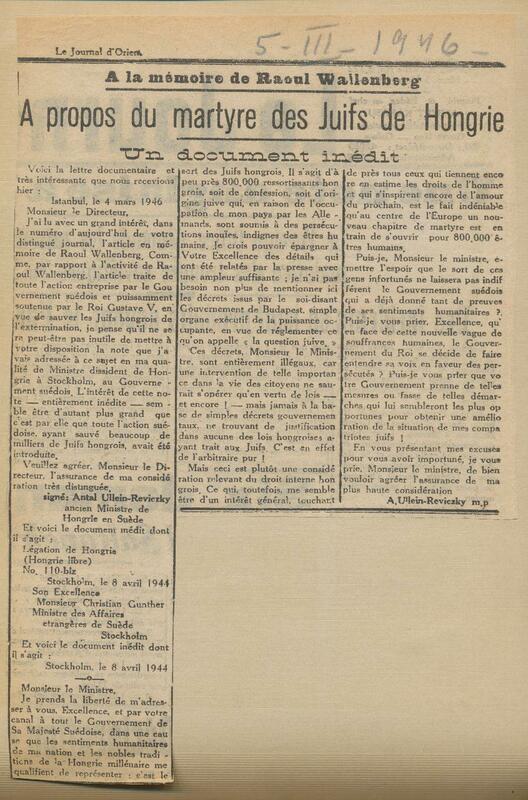 Few personal letters or other documents have been preserved. 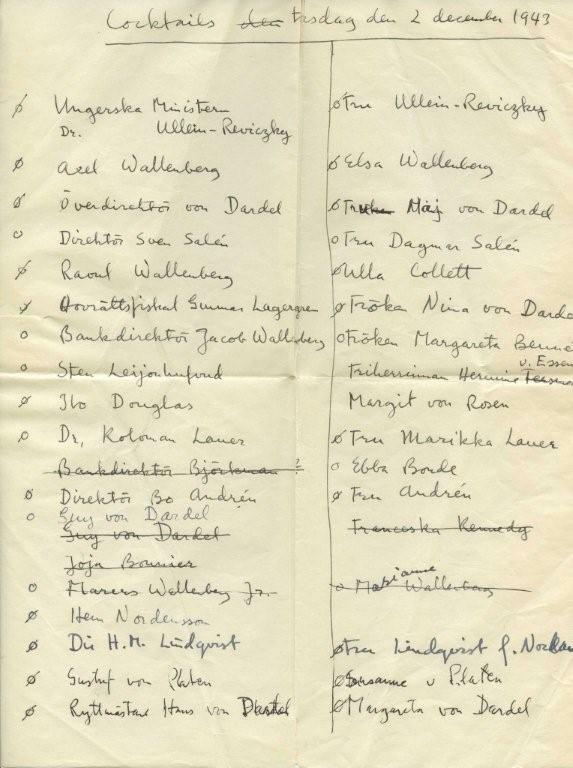 In particular, such papers would fill in important information about Wallenbergs personal and professional contacts before he was sent to Hungary in July 1944 on a humanitarian mission to aid its Jewish population. Hungary had been formally allied with Nazi Germany since 1940, but Germany had nevertheless moved to occupy the country on March 19, 1944. In a short few months, almost 500,000 Jews were deported to exterminations camps in Poland and Czechoslovakia. For decades, the idea has prevailed that the choice of Raoul Wallenberg for his dangerous assignment was largely accidental, the result of a fortuitous set of circumstances that settled on a smart young businessman just weeks before he left for Budapest. Only 32 years old at the time, Wallenberg has been routinely portrayed as highly intelligent, yet stuck in a rather average career path as director of a small import-export foodstuffs company (Mellaneuropeiska), largely cut off from his powerful relatives, the bankers Marcus and Jacob Wallenberg, and eager for a chance to make his mark. While much of this description is accurate, new documentation recently discovered in Hungary suggests that Wallenbergs background story may be more complex than previously thought. For one, as early as 1943, his personal network of contacts ran deeper and broader than researchers have realized. This raises new questions not only about Raoul Wallenbergs relationship with the Wallenberg business group, but also what exactly prompted his selection for the Budapest assignment. In addition, the documents add important pieces to the puzzle why Soviet authorities may have been so interested in detaining him. Last year, we were contacted by Lovice Maria Ullein-Reviczky, the daughter of the former Hungarian Minister in Stockholm, Dr. Antal Ullein-Reviczky. 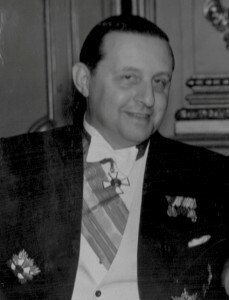 Before his stay in Sweden from 1943-45, Ullein-Reviczky had been a high ranking member of the Hungarian Foreign Ministry as head of its Press Department and Cultural Section. More importantly, he was a well-known opponent of Nazism and a key figure in the Hungarian resistance movement that included leading diplomatic and political figures around the Hungarian Prime Minister Miklós Kállay. Ever since 1942, Ullein-Reviczky had been instrumental in numerous efforts to contact the Western Allies, especially Britain, to discuss a way for Hungary to leave its alliance with Nazi Germany. Lovice Maria Ullein-Reviczky produced papers which showed for the first time that Raoul Wallenberg personally knew Antal Ullein-Reviczky as early as September 1943, when he was visiting Budapest on business for his company Mellaneuropeiska. Both men attended a private lunch given by József Balogh, the famous editor of the influential publication Magyar Szemle (Hungarian Review) and a close friend of the Ullein-Reviczky couple. The group had very strong ties to Britain, as well as close personal and business contacts with Sweden. The enormous Manfred Weiss industrial empire, which produced everything from airplanes, trucks, and bicycles to tinned goods and needles, had numerous subsidiaries and associations in Sweden, especially with the business group of Swedish shipping magnate Sven Salén (who owned Raoul Wallenbergs firm Mellaneuropeiska) and Saléns close associates, the Wallenberg brothers. The Wallenberg family, in turn, had a powerful presence in Hungary, with both their Swedish Match company and the ball bearing trust SKF enjoying monopoly status. During the war, Hungary constituted an important market for Sweden for a variety of goods, especially for the import of foodstuffs, textiles and critical raw materials, including bauxite, flax and oil. The introduction of the so-called race laws in Hungary increasingly restricted the roles Jewish citizens could play in public life. By September 1940 Jacob Wallenberg had received a message from Jewish business owners who were worried about further restrictions of their activities. Some of these Jewish businessmen were looking to Sweden for the purpose of the [temporary] aryanization of their businesses. Should Jacob be interested, the message stated, he should send a representative to Budapest. 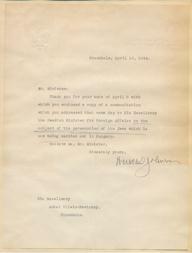 Attached to the request Jacob Wallenberg had received was a card by Tungsrams CEO, Lipót Aschner. Incidentally, most of Raoul Wallenbergs closest aides in 1944 would come from the managerial ranks of just this firm. Raoul Wallenberg had ostensibly joined Mellaneuropeiska to learn the intricacies of international business, especially in a world at war. But aside from his regular business tasks related to the importation of foodstuffs like Hungarian wine and geese, Wallenberg would also have been well suited to take on the role of a confidential representative, as Lipót Aschner had requested. While Mellaneuropeiska nominally belonged to Sven Salén, it operated fully in the Wallenberg business sphere. Under the umbrella of one of his flagship companies, Banankompaniet, Salén ran a network of smaller firms. After the outbreak of the war, the Manfred Weiss family apparently transferred some of their assets to these smaller entities such as Svenska Konserv AB Globus (a cannery) In other words, Saléns businesses  and by extension the Wallenberg sphere  provided important cover for key Hungarian business interests in Sweden and in Hungary. As the historian C.G. McKay has pointed out, Raoul Wallenbergs colleague, Kálmán Lauer, was an expert at such arrangements which proved profitable for both sides. Because Lauer was Jewish, however, he was unable to travel to Hungary himself during the war. 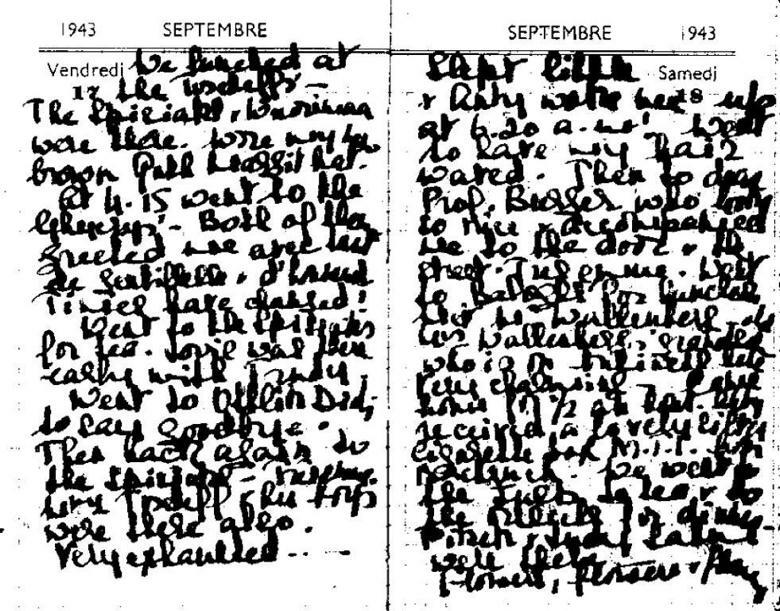 Wallenberg's visa application for his September 1943 trip to Hungary specifically states that he intended to visit the "Manfred Weiss A.G." and "Toledo Stahl, A.G.", a steel company. The trip's sponsors were Jacob Wallenberg, Sven Salén and Erik Björkman, a Director of Skandinaviska Banken (and head of the Swedish-Hungarian Chamber of Commerce). According to the official Hungarian/Swedish trade register for October 1943, the main Swedish trading partner for "Toledo Stahl" was "Hellefors Bruk AB", a large iron and steel manufacturing concern, then owned by Skandinaviska Banken's investment arm AB Custos. As for the Manfred Weiss A.G., it encompassed the Globus canning factory (trading partner to Svenska Konserv A.B. and to Mellaneuropeiska), but at the time it also did important business with a variety of Swedish firms dealing in steel products, including the ball bearing concern SKF, which was controlled by the Wallenberg family. It therefore appears that while visiting Hungary on behalf of Mellaneuropeiska , Raoul Wallenberg also may have acted as an agent for business matters not strictly limited to the importation of foodstuffs, at least on this particular trip. This raises the important question how much Raoul Wallenberg knew about the Salén/Wallenberg spheres sheltering of Weiss family business assets and if he had any role in these transactions. 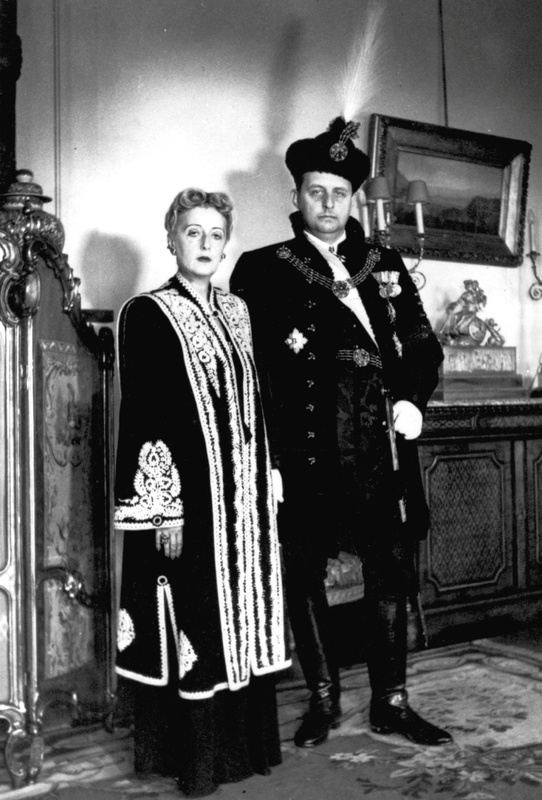 (note : Heinz von Wahls sister, Vera von Wahl, was married to the beverage magnate János Zwack. Both he and his wife are listed as Friends in a private code list Raoul Wallenberg created for his humanitarian work in Budapest in 1944. 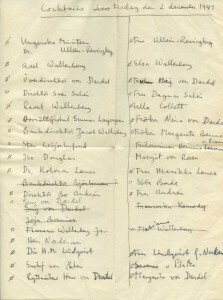 Before his departure, Wallenberg and Lauer worked out a list of codenames to hide peoples identities in their correspondence). While his last name alone would have opened doors, these facts make Raoul Wallenbergs attendance at a private lunch at József Baloghs house in September 1943 all the more understandable. The timing of the gathering too is noteworthy. The meeting took place on September 18, two days before Antal Ullein-Reviczky was to depart for Stockholm to take up his new post as Hungarian Minister to Sweden. At that very moment the Hungarian diplomat was involved in highly secret and sensitive separate peace discussions via Turkey (Ullein-Reviczkys in-laws were British diplomats living in Istanbul). These discussions involved representatives of the Special Operations Executive (SOE), Britains foreign sabotage organization, which at the time was headed by the British banker Charles Hambro. He happened to be married to Marcus Wallenbergs first wife. Both Wallenberg and Hambro were in regular contact concerning efforts to broker an end to the war. Not surprisingly, while in Budapest, the Ullein-Reviczkys maintained regular contact with the Swedish-Legation, inviting both the Swedish Minister Ivan Danielsson and First Secretary Per Anger to frequent lunches, dinners or bridge parties. 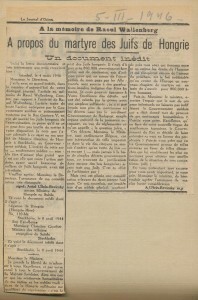 Due to Swedens neutrality, Swedish channels became one of the few reliable routes to deliver news about Hungary to the outside world. Their social contacts with Swedish diplomats intensified in Stockholm. Regular guests at private dinner parties hosted by the Minister and Mrs. Antal Ullein-Reviczky at the Hungarian Legation building at Strandvägen 63 included high ranking officials like the Swedish Foreign Minister Christian Günther; Head of the Foreign Ministrys Political Department, Sven Grafström; Undersecretary of State, Erik Boheman; head of the Swedish Foreign Ministrys Bureau of Foreign Trade, Gunnar Hägglöf; Östen Undén who headed the Swedish Parliaments Foreign Relations Committe during the war; Chief of the Swedish Foreign Ministrys Legal Department, Gösta Engzell and others. And on several occasions, Raoul Wallenberg is listed as someone who attended these gatherings. Had Bohemans, Gripenberg, Exstrand (sic), Angelica Bunde (sic), young Raoul Wallenberg to lunch. Wallenberg reciprocated by inviting the Hungarian Minister and his wife to a cocktail party at his home on December 2, 1943. Then, on December 18 , Raoul Wallenberg attended an exclusive dinner party at the Hungarian Legation. Wallenbergs inclusion in this circle is somewhat surprising to anyone familiar with the strict social rules of both Swedish and general diplomatic circles at the time. It is perhaps a sign of the relative importance Ullein-Reviczky attached to him as a representative of a business sphere that represented vital Hungarian economic interests. The Ministers presence underscores both the official importance of the mission and the personal rapport that apparently had developed between the two men. Dr. Géza Soós, a close colleague of Ullein-Reviczkys in the Hungarian Foreign Ministrys Press Department. He was one of the first people Raoul Wallenberg met when he arrived in Hungary in July 1944. Soós was a leader of an important Hungarian resistance group, the MFM (Magyar Függetlenségi Mozgalom  Hungarian Independence Movement). 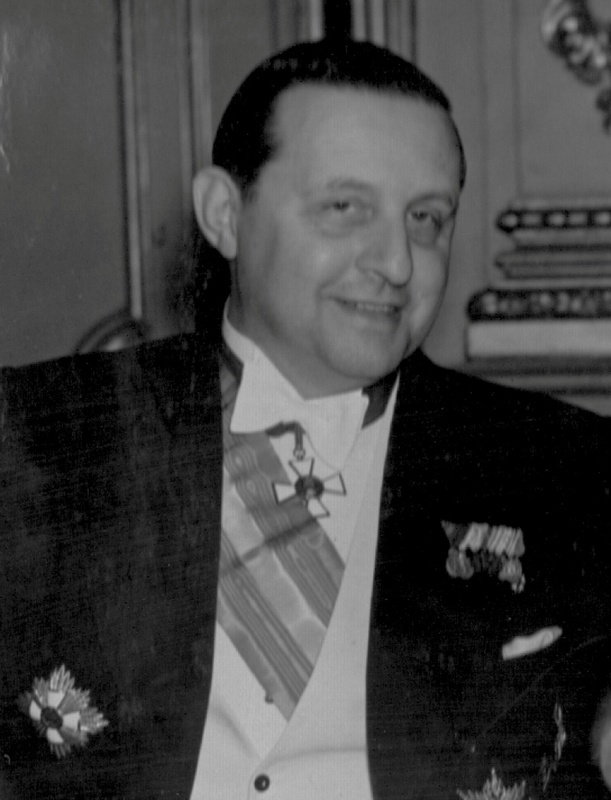 There were also the politician and newspaper owner Count Gyula Dessewffy (whom Raoul Wallenberg hid in his private residence in Budapest); Micky Horthy, son of the Hungarian Regent Miklós Horthy (with whom Wallenberg met on several occasions); the wealthy and influential Countess Hetta von Wenckheim (one of Raoul Wallenbergs earliest contacts); Count Ferdinand Orssich whose son Pizek was Ullein-Reviczkys close associate (Orssichs name appears on Raoul Wallenbergs coded list of names as a friend); as well as Heinz von Wahl (affectionally referred to as Heinzi von Wahl in Mrs. Ullein-Reviczkys notes). Just as importantly, Ullein-Reviczky was a very close friend of Tibor Eckardt, the leader of the Hungarian Smallholders Party and a close advisor to U.S. President Roosevelt during the war (he moved to the U.S. in October 1941). All through his stay in Sweden, Antal Ullein-Reviczkys focus remained the fate of his home country and the plight of the Jewish population. After the German occupation, the Hungarian Ministers official appointment was revoked, but Swedish authorities allowed him to remain in Stockholm, with full diplomatic authorization. Already on April 8, 1944, Ullein-Reviczky sent an urgent appeal to Swedish Foreign Minister Christian Günther outlining the suffering of the Hungarian Jews and urging active Swedish assistance. is the undeniable fact that in the centre of Europe, 800,000 human beings are doomed to martyrdom. May I, Mr. Minister, express the hope that the fate of these unfortunate people will not be indifferent to the Government of Sweden..? This appeal was no doubt prompted by the increasingly horrific reports of mass deportation of Hungarian Jews, as well as the creation of the U.S. War Refugee Board by President Roosevelt in January 1944. The Board was given the task of rendering active assistance to Jewish refugees. The Hungarian Ministers formal request was clearly intended to increase the pressure for official Swedish action. That same day he forwarded a copy of his appeal to the American and British governments, via their official representatives in Stockholm, the American Minister Herschel V. Johnson and Britains Minister Victor Mallet. Both responded with strong expressions of sympathy and support. There have been questions about exactly when the idea to send a special Swedish representative to Hungary was conceived and when the idea emerged that this person should be Raoul Wallenberg. The actual choice was believed to have been made in June, 1944, when Wallenberg formally met with the U.S. War Refugee Board representative in Stockholm, Iver Olsen and U.S. Minister Herschel Johnson. Ullein-Reviczkys letter probably further stirred the already lively deliberations under way in the Swedish Jewish community to find a way to aid Hungarys Jews and almost surely from the start these deliberations involved Raoul Wallenberg. This conclusion is supported by the fact that Wallenberg asked the commander of his Swedish Home Guard unit where he spent his military service for leave already on May 15, 1944 to go to Hungary for six months, on a humanitarian relief mission  for a committee which is to be formed for that purpose. It appears likely that Raoul Wallenberg was referring to this very project in his request for leave from military service and that Boheman in return knew of Wallenbergs intentions. Bohemans sister was married to Gunnar Josephson, a leading figure in Stockholms Jewish community [Mosaiska Församling]. For his part, Herschel Johnson was well acquainted with Sven Salén who was a Vice President of the Swedish-American Society and whose business offices were located in the same building as the American Legation, Stockholm. In early June 1944, Ullein-Reviczky sent a second round of official appeals to both Swedish and Allied representatives which were met with the same assurances of support. 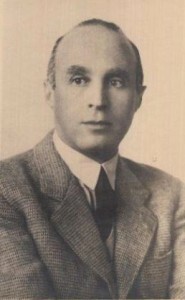 Throughout his stay in Sweden Ullein-Reviczky also continued his clandestine discussions with American and British intelligence representatives about possible Allied military intervention in Hungary and the possibilities of limiting future Soviet influence in the region. These talks included the very same individuals who were involved in the preparation of Wallenbergs mission, such as Andor Gellert, a Hungarian journalist and diplomat who worked for the Office of Strategic Services (OSS, the predecessor of the CIA), Vilmos Böhm, a former Hungarian Minister of War in 1919, who was employed by the British Legation, R. Taylor Cole, head of the OSS Secret Intelligence Branch in Stockholm and of course Iver Olsen who was also a member of OSS. No doubt the involvement of all these people in activities like separate peace negotiatons made Raoul Wallenbergs role very suspicious in the eyes of Soviet counterintelligence. Given the fact that Wallenberg was close to Ullein-Reviczky (who had the ear of both the official Swedish and the Allied representation in Stockholm) and that he also enjoyed the support of leading Swedish and Hungarian business circles and the Jewish community, his selection to go to Hungary appears much less surprising than commonly believed. That Raoul Wallenberg was able to win the confidence of U.S. representatives is even less surprising given the considerable time he spent in America while attending the University of Michigan. However, American officials also must have noted that he had important professional and social connections that uniquely qualified him for the planned mission. The appointment of Raoul Wallenberg at a time when the U.S. was formally investigating Wallenberg companies for their continued economic exchange with Hitlers Germany adds yet another interesting facet to the case. His mission offered the Swedish government a chance to gain favor with American and British officials, a fact probably not lost on either the Wallenbergs or Sven Salén (whose companies had been added to Britains commercial blacklist). In short, a number of mixed motives prompted Raoul Wallenbergs selection, including very important personal ones: Kálmán Lauers relatives were still living in Hungary and many staff members of businesses associated with Sweden also faced immediate risk of deportation and death. As a businessman, Raoul Wallenberg was the obvious choice, because he already had established ties to key players  in the business community, as well as in the Swedish and Hungarian diplomatic establishment. Undoubtedly, the main reason for their silence was because they understood that Wallenbergs various social and intelligence contacts heightened the already strong Soviet suspicions about him. In short, these contacts made him a target. It is very likely that Soviet intelligence representatives in both Stockholm and Hungary reported to Moscow in some detail about Raoul Wallenbergs activities in the years 1943-1945. However, so far none of these reports have been released from Russian archives, a critical gap in the official case record. Facts like this would have fueled Stalins paranoia about a developing Anglo-American/German/Jewish conspiracy  that Britain and the U.S. would ultimately make common cause with a pacified Germany and wealthy Jewish business owners, to then turn as a united front against the Soviet Union. In short, Wallenbergs mission was seen as an integral part of a broader policy to limit future Soviet influence in Eastern Europe and the world in general. Documents from the Russian Foreign Ministry archives released in the 1990s suggest that the main reason why Soviet officials had detained Raoul Wallenberg was because he  like two Swiss diplomats who were arrested with him - was considered a valuable bargaining chip. Soviet officials were also clearly interested to learn details about the various separate peace initiatives that had taken place in the years 1942-1945 in which the Wallenberg family had played an important role. By de-emphasizing Raoul Wallenbergs early connections and relative importance, the Swedish government in the immediate aftermath of the war downplayed its own role in support of these broader Allied policy goals. This may also help explain to some extent the subdued American response to Wallenbergs disappearance. The Wallenberg familys lack of action on behalf of Raoul Wallenberg after 1945 has been much noted and discussed. The Wallenbergs immediate concern appears to have been focused on positioning their businesses in the postwar economy. This included extensive efforts to release Wallenberg financial holdings that had been blocked by U.S. authorities during the war (to stop trade with Nazi Germany), as well as the fight to prevent the potential loss of millions of dollars in business assets through the threat of Soviet nationalization of foreign enterprises in Eastern Europe, including in Hungary. Negotiations with the Soviet Union for compensation agreements took decades to conclude. In 1945, with the Soviet Union occupying the Baltic countries, Sweden had enormous fears of its gigantic neighbor. Still, it is becoming quite clear that Raoul Wallenberg was apparently not as inexperienced and unknown to Swedish decision makers as it has appeared until now. He was not the Nobody he has been made out to be. Given Raoul Wallenbergs important political and business connections, new questions arise why Swedish officials did not make a stronger effort to secure his repatriation. Dr. Antal Ullein-Reviczkys role in originating the Swedish humanitarian mission in 1944 also deserves closer examination than it has received so far. In spite of his obvious affection for Raoul Wallenberg, like other former Hungarian diplomats, he was rendered essentially powerless after the war and died in exile in London in June 1955. For a full (PDF) version of the report, please click here.